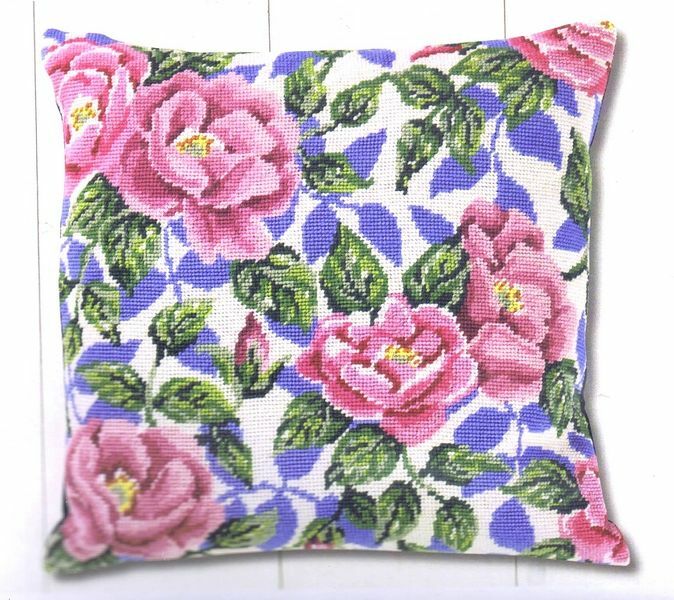 A pretty cushion of pink roses with blue leaves. 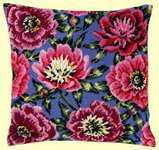 The counted needlepoint kit has a full colour 20 count double canvas. 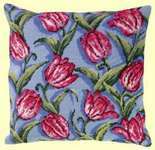 The pattern is worked completely in tent or half cross stitch using 11 shades of wools.